CHAPEL HILL, NC (WBTV) – An after-action report ordered by the UNC Board of Governors has found poor communication, insufficient training and a lack of staffing, among other things, as issues that led to the toppling of Silent Sam and days of protests—some of which were violent—in August and September 2018. The report was prepared by attorneys at the law firm Parker Poe Adams & Bernstein LLP, who were commissioned to study the incident this fall. Findings of the report, which is dated October 15, 2018 in the version obtained by WBTV, have not been made public before now. 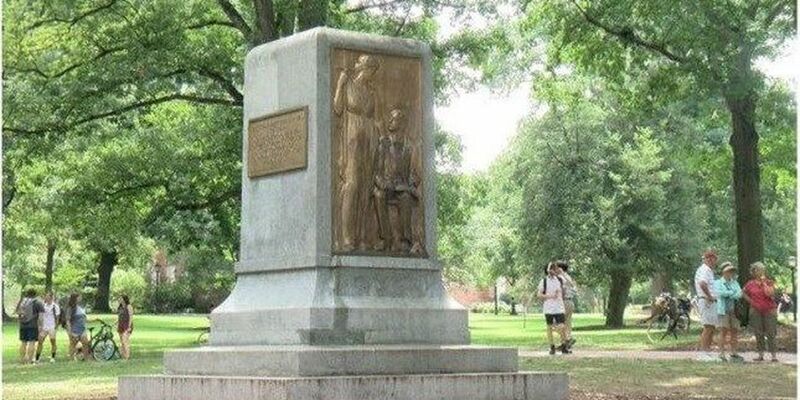 WBTV obtained a draft copy of the report in the days after UNC-Chapel Hill Chancellor Carol Folt abruptly announced her resignation and ordered the immediate removal of the pedestal upon which Silent Sam sat earlier this week. In announcing her resignation as chancellor on Monday, Folt said she intended to stay through the end of the university’s academic year this spring. But the UNC Board of Governors—the body that is responsible for oversight of the entire UNC System—accelerated the timeline of her departure the following day by ordering she leave at the end of January. The report delivered to the Board of Governors by the Parker Poe attorneys found “serious deficiencies in the way the August 20, 2018 event was handled” but said there was no evidence of any conspiracy between university administrators and protesters to bring the statue down, as some of speculated. Dozens of UNC-CH administrators and police officers, including Folt and UNC-CH Police Chief Jeff McCracken, were interviewed as part of the inquiry. 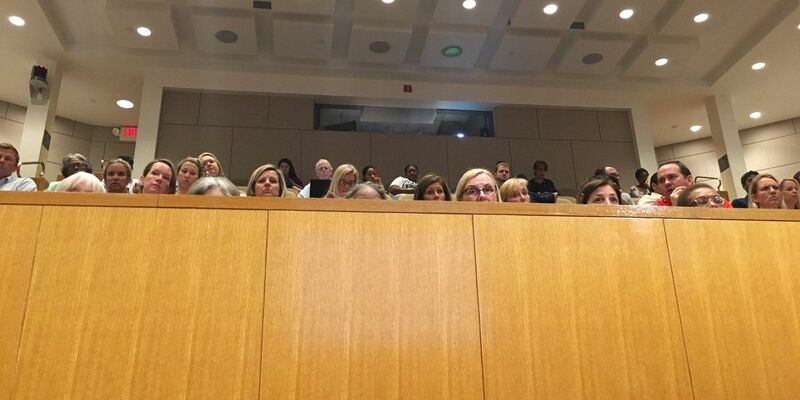 UNC System President Margaret Spellings and Town of Chapel Hill Police Chief Christopher Blue, among others, were also interviewed, the report said. According to the report, McCracken suggested using barriers based on what his department had done for previous protests at the statue but the barriers weren’t used because of opposition from Folt’s office. The timeline regarding the decision on whether to use barricades started with a conversation between Derek Kemp, who was McCracken’s direct report as Association Vice Chancellor of Campus Safety and Risk Management, and Amy Hertel, Folt’s Chief of Staff. “Given Hertel’s understanding of the information to date, Hertel questioned Kemp on the propriety of whether barricades should be used,” the report said. “While there is significant evidence that barricades can serve as force multipliers for police in controlling crowds, some perceived barricades could also be optical eyesores. Hertel was worried that the barricades might increase attendance by curious onlookers and counter-protester extremist groups. 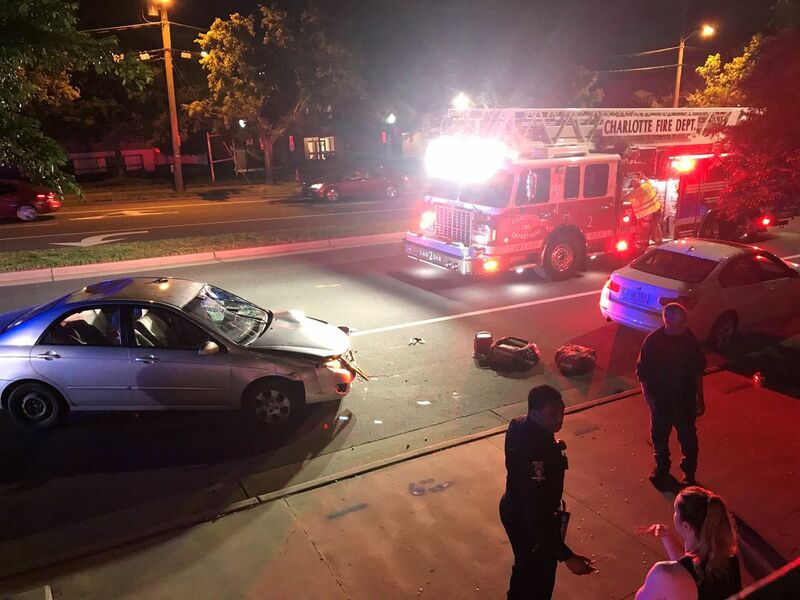 Hertel was also concerned that barricades might cause new students and their parents to fear for their safety on move-in weekend,” the report said. According to the report, Hertel later consulted with Folt, who said she did not want the barricades put up over the weekend leading up to the planned protest. That decision, the report said, was relayed to Kemp who then passed it along to McCracken. The report said McCracken perceived the decision to not put up barricades over the weekend as a directive from Folt that barricades not be used for the protest. Despite that, the report said, Folt never intended for her trepidation regarding the use of barricades to preclude their use by police during the protest. “The Chancellor has always maintained her message was never a directive or an order, but was rather a desire based upon her understanding of the intelligence and her belief that law enforcement ultimately makes the decisions on the group,” the report said. Ultimately, the report recommends decisions regarding future events involving law enforcement include direct communication between the police chief and the chancellor. In addition to issues related to who communicated the decision on whether to use barriers on the night of the protest, the report details the inadequate staffing deployed on the night of the protest. A total of 22 UNC-CH Police officers were deployed to the protest on August 20. Those officers were later assisted by six Town of Chapel Hill officers who were deployed after several university officers were assaulted while trying to arrest a masked protester. At one point, the report notes, officers were able to surround Silent Sam while protests went elsewhere as part of the demonstration but the officers were unable to keep the statue secure when the large crowd returned. “At approximately 9:14 pm, the majority of the protesters started to make their way back to Silent Sam. The crowd was hostile and physical. A number of officers stated that this was one of the only times in their careers where they felt scared for their and other persons’ safety,” the report said. According to the report, none of the officers surrounding the statue had riot gear, which left them at a disadvantage as protesters began to throw frozen water bottles and eggs, among other things. Riot gear was staged in a van on a different part of campus that officers could not easily access from the statue site, the report said. When reached for comment responding to the report’s findings, a UNC System spokesman said the report speaks for itself. A member of UNC-CH’s Communications Office acknowledged a request for comment from WBTV late Thursday morning but did not immediately provide one. This article has been updated to clarify that the version of the report obtained by WBTV was a draft. It did not include the response from UNC-CH administrators.